We are almost there. 5 days until the 2015 NFL Draft and teams are putting the final touches on their boards, gathering that last bit of information on prospects they have interest in. Dotting the I and crossing the T.
My personal opinion is the 1st round of this draft is going to be VERY interesting, and it will begin with the 2nd pick of the draft and what the Tennessee Titans will do. I normally don't do trades in my mock, but I went ahead with some trades this time. Let's go ahead and take a look at how this could play out in my mind. 1) Tampa Bay - Jameis Winston, QB, Florida State - This is a very important draft for Tampa, as they continue to try to find that franchise QB. They have worked out and spoke with both Winston and Marcus Mariotta of Oregon. But Tampa has been locked in on Winston for a while. 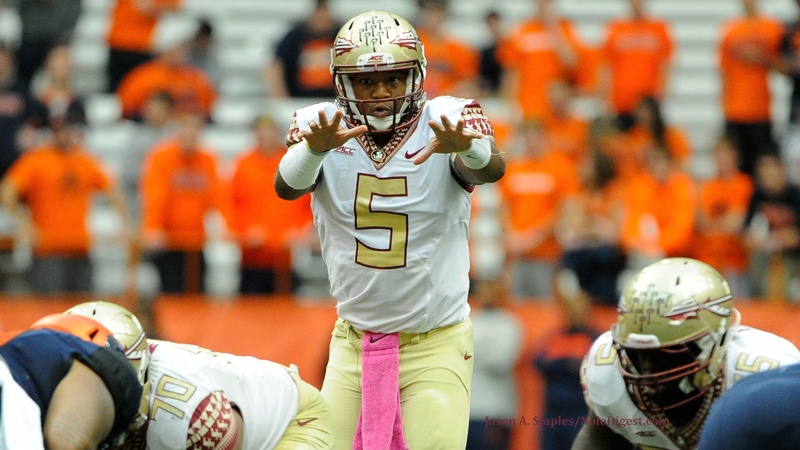 Unless something extraordinary happens in the next few days, Winston will be the pick. 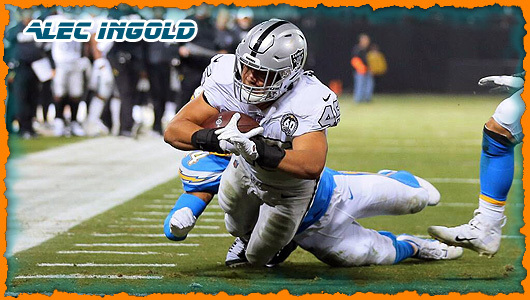 2) Philadelphia - Marcus Mariotta, QB, Oregon - Chip Kelly has shown that he wants HIS type of players in the trading off of DeSean Jackson in 2014 and LeSean McCoy in 2015. The Eagles have not signed QB Sam Bradford to a long term contract after trading for him earlier, and Bradford thinks the Eagles are looking to trade him. I think the 3 team trade scenario put out a few days ago happens. Cleveland was very intrested in trading for Bradford earlier, and they get him now. The Titans have said they are sold on Mettenberger, and we will see if they are. In the end, this would be the best case scenario for Mariotta to have IMMEDIATE success in the NFL, as he would be in the exact same offense he was in Oregon. I think the package that is being reported from Philadelphia, the 19th & 20th pick to go with ILB Mychal Kendricks and DT Fletcher Cox will be to enticing to turn down. 3) Jacksonville - Dante Fowler, OLB/DE, Florida - Jacksonville adds a dynamic piece to their defense with Fowler. Would not be surprised if the go Leonard Williams. 4) Oakland - Kevin White, WR, West Virginia - Leonard Williams would be very enticing here, but the Raiders have possibly found their QB in Derrick Carr, and they look to provide him with #1 WR in White. 5) Washington - Leonard Williams, DT, Southern Cal - The Redskins could easily go OL here, and many have mocked OLB/DE here as the lost Brian Orakpo to free agency. But Williams is considered the best player in this draft and is to good a value not to take here. 6) New York Jets - Vic Beasley, OLB/DE, Clemson - New coach Todd Bowles is like former coach Rex Ryan, a defensive coach. The Jets add an explosive pass rusher to an already strong defensive front. 7) Chicago - Amari Cooper, WR, Alabama - The Bears could go DL and Danny Shelton here, as they lost DT Stephen Paea to free agency, but the also traded WR Brandon Marshall to the Jets. They go with the receiver that is being called the best in this draft in Cooper. 8) Atlanta - Shane Ray, DE/OLB, Missouri - The Falcons desperately need to create more pass rush pressure. This very well could be Randy Gregory, the DE/OLB from Nebraska, but I think Ray will be the pick. There are concerns about his turf toe injury, but he supposedly will be ready for the season. Keep an eye on Georgia RB Todd Gurley here as well. 9) New York Giants - Brandon Schreff, OT/OG, Iowa - The Giants continue to fortify their offensive line with the rock solid, technically sound Schreff. WR could be a possibility, as WR Victor Cruz is coming off a severe knee injury. 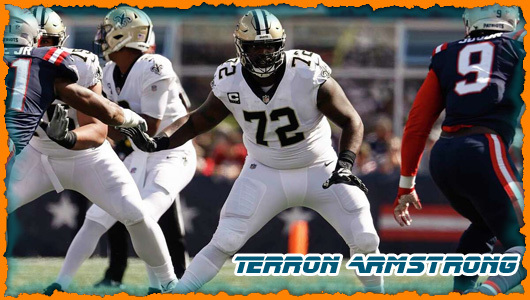 10) St. Louis - Ereck Flowers, OT, Miami - The Rams could go wide receiver here, but they let their ORT, Joseph Barksdale test free agency and OLT Jake Long was released after getting hurt once again. 2014 1st round pick Greg Robinson will move to OLT, and they plug Flowers in on the right side, as he has experience at both tackle spots. 11) Minnesota - Trae Waynes, CB, Michigan State - The Vikings have a crying need for a CB, and Waynes is considered by most either the 1st or 2nd best CB in this draft. HC Mike Zimmer is a defensive coach at heart, and the Vikings just traded for WR Mike Wallace and have 2014 1st round pick Cordarrelle Patterson, who took a step back in 2014, but is still a talent. Charles Johnson is a player who the Vikings are said to be very high on also. 12) Cleveland - DeVante Parker, WR, Louisville - After trading for Sam Bradford, the Browns give him a TRUE #1 wide receiver by getting Parker. Parker stock has been studily rising, and some think he could work his way into the top 10. Danny Shelton could be a major consideration here as well. 13) New Orleans - Bud DuPree, DE/OLB, Kentucky - The Saints want to do a lot of work to their defensive unit, and they have 2 picks in the 1st round. They could possibly trade up, but DuPree stock is rising and team are intrigued by this very talented, versatile prospect. 14) Miami - Todd Gurley, RB, Georgia - If one of the Big 3 wide receivers drops, then the Dolphins would take him. Miami believes that there are 19 prospects with 1st round grades, and Gurley is one of those players. Considered the best back to come out in the draft since Adrian Peterson, I don't see Miami passing on Gurley. He gives Miami that BIG back they are looking for, one that has big play ability, can catch the ball out of the backfield and is a dangerous kickoff return man. 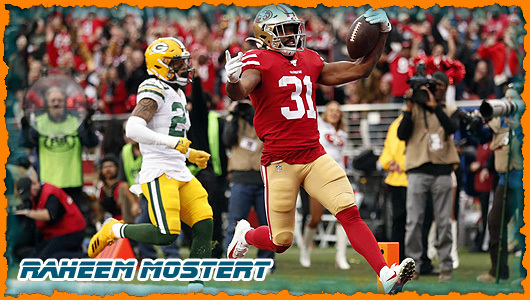 He would combine with Lamar Miller to give the Dolphins an very potent combo and give them that back that can help grind the clock late in a game or gain that short yardage of top of his homerun ability. There is a durability concern, as Gurley missed 3 games due to an ankle injury in 2013 and tore his ACL in late Novemeber 2014 against Auburn. He just visited Indianapolis for a follow up visit for prospects with injuries, and his knee has progressed to the point where he is given a very good chance of being ready for Training Camp. OT/OG La'el Collins, DT Danny Shelton & CB Marcus Peters could be considered here as well. 15) San Francisco - Erick Armstead, DT/DE, Oregon - This has been a turbulent offseason for the 49ers. They cut DT Ray McDonald after his latest run in with the law, they LB's Patrick Willis and Chris Borland and lost CB Chris Culiver to free agency. DE Justin Smith is seriously mulling retirement on top of everything else that has gone wrong for the 49ers. They start the rebuilding process with Armstead. 16) Arizona- Melvin Gordon, RB, Wisconsin - The Cardinals make the move up to get the 2nd best RB in this draft after the Dolphins select Todd Gurley. 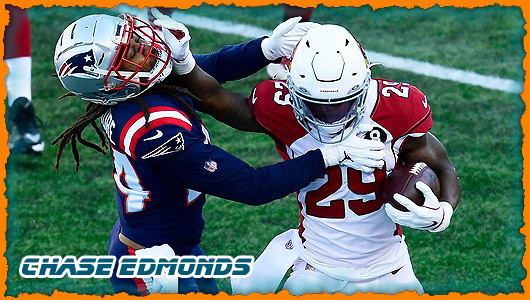 While talented, Andre Ellington has been unable to stay healthy, and Gordon gives the Cardinals that back that can take pressure off the passing game and form a formidable duo with Ellington. 17) San Diego - D.J Humphries, OT, Florida - With Arizona trading ahead of the Chargers to take Gordon, the Chargers look to add talent to their offensive line with the talented Humphries. 18) Kansas City - Cameron Irving, OC, Florida State - The Chiefs could go CB here, as Sean Smith is in the last year of his contract and have a need for a CB opposite him as well and wide receiver is a big need as well. But Kansas City lost OC Rodney Hudson in free agency to the Raiders, and take Irving the fill that void. 19) Tennessee - Randy Gregory, DE/OLB, Nebraska - This is the 1st of the picks from the Eagles. The Titans need an edge rusher, and they stop drop of Gregory here. 20) Tennessee - Kevin Johnson, CB, Wake Forest - The add the talented Wake Forest CB to an area of need. 21) Cincinnati - La'el Collins, OT/OG, LSU - OLT Andrew Whitworth will be 34 this season, and Collins can play OG until time to replace Whitworth. 22) Pittsburgh - Byron Jones, CB, UConn - The Steelers start the rebuidling of their secondary after losing CB Ike Taylor and S Troy Polomalau. 23) Detroit - Danny Shelton, DT, Washington - Detroit lost Ndamankong Suh and Nick Fairley in free agency. They recovered nicely by acquring Haloti Ngata in a trade and now have the opportunity to acquire massive Danny Shelton. The Lions don't pass on the opportunity. 24) Houston - Breshard Perriman, WR, Central Florida - After trading down with the Cardinals to obtain additional picks, the Texans take a WR to help DeAndre Hopkins and replace Andre Johnson. 25) Carolina - Andrus Peat, OT, Stanford - The Panthers look to fortify the offensive line with Peat, as the finally get the replacement for retired OLT Jordan Gross. 26) Baltimore - Marcus Peters, CB, Washington - The Ravens just signed CB Jimmy Smith to a long term deal, but the corner opposite Smith, Ladarius Webb has not been able to complete a season the last 2 years. The Ravens suffered defensively with the lack of depth at CB. The Ravens are the type of team to take a chance on this very talented kid who was kicked off the team at Washington. A wide receiver could be a possiblity here as well, as they lost Torrey Smith. 27) Dallas - Malcolm Brown, DT, Texas - Dallas lost some key personnel off the defensive line, and while they could go CB, they add Brown to fortify their defensive line. 28) Denver - Jake Fisher, OT/OG, Oregon - While the Broncos did lose Terrance Knighton to free agency, they did also lose OG Orlando Franklin to San Diego. Protecting Peyton Manning for one last run is paramount. Fisher is very versatile, and has played both tackle spots and guard, and is a very good fit for the zone blocking scheme employed by new coach Gary Kubiak. 29) Indianapolis - Landon Collins, S, Alabama - The Colts have made a lot of moves during the offseason, and address one of the biggest needs in regards to safety, as LaRon Landry was released after the season. 30) Green Bay - Eric Kendricks, ILB, UCLA - Green Bay released A.J Hawk during the offseason and lost Brad Jones as well, and while CB is without a doubt a position of need, and I have seen LSU CB Jalen Collins here, Ted Thompson does not impress me as the type that would take a chance this early on a kid that was a part-time starter and failed multiple drug test. 31) New Orleans - Nelson Agholor, WR, Southern Cal - I believe most of the Saints draft will be devoted to their horrid defense, but they did also lose WR Kenny Stills in the trade to Miami. Agholor stock is rising, and the Saints give QB Drew Brees a weapon to replace on of the two that were lost this off season. Maxx Williams is someone that I think the Saints could consider as well, as they did trade TE Jimmy Graham. 32) New England - Eddie Goldman, DT, Florida State - The Patriots let veteran DT Vince Wilfolk go during free agency to the Texans. The Patriots look to fill that void with Goldman. Well Ladies and Gents, the draft is upon us, and for the Miami Dolphins, this is a wide open draft, and that in and of itself has pros and cons. On one side it's not such a good thing, be cause it means the Dolphins have a lot of holes to fill, on the other side, they have many options for drafting the best player available for multiple positions. Even though it is a wide open draft for the Dolphins, many people, myself included, feel like they will draft a wide receiver, and there are good reasons for people to feel that way. 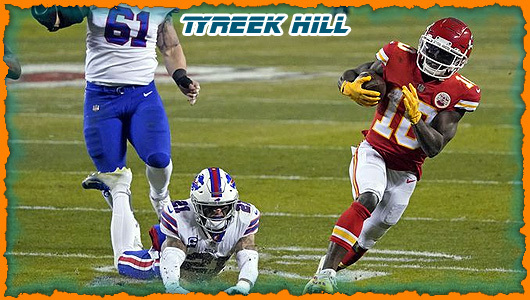 WR is a position of great need for the Dolphins, it is one of the largest positions on any team, carrying anywhere from 4 to 7 players, but usually 5 or 6. It is also one of the deepest positions in this draft, especially at the top, there is a fairly large group of prospects that will be considered in the first 2 rounds. The Dolphins current crop of WRs are young and inexperienced, with the exception of the recently signed Greg Jennings, who is going to be 32 in September. Jennings was most likely signed as a stabilizer for the unit, a proven veteran that can function as a mentor and a sound board for the younger WRs on the team, and for the highly expected, and newly minted, fresh from the draft WR. After Jennings there are questions surrounding the other WRs on the team, such as Kenny Stills, who the Dolphins aquired in a trade with New Orleans. Stills had some success with the Saints, but then why did they let him go so easily, when he was a cheap option at WR. There is a question about whether he can line up on the boundary, he has been a slot WR on the Saints, but will be expected to be a replacement for the traded Mike Wallace. 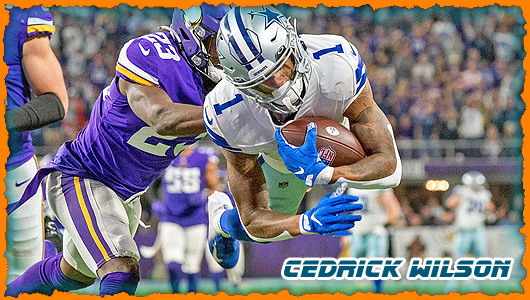 Will he be able to take the top off the defense as Wallace did, or will he have trouble with #1 and #2 cornerbacks, especially against the jam in press coverage. Now if Stills isn't a boudary WR, then you might say, just move him to the slot, but thats where last years rookie Jarvis Landry shined. There is a question about Landry as well, will he, in his second season be as good as he was last year. If he does take a step back, it will not be because of him, a hard working, dedicated, gamer. The one factor that may hinder his production is the absence of the double covered deep threat Mike Wallace, if Stills cannot generate the same type of pressure on the defense, the shorter routes will not be as open. Then there is the infrequently used Rishard Matthews, and the basically unknown quantity of last years late round pick Matt Hazel. So there is a declining veteran, an unproven boundary WR, a second year slot WR, and 2 uncertain WRs, which would lead people to believe that there is a priority for grabbing a WR high in this draft. WR is not the only need however, starting CB is also a need, there are hopes that Jamar Taylor or Will Davis will step up and grab the spot opposite Brent Grimes, but they are far from set in stone, the Dolphins also signed a couple of CBs in free agency, but they are basically, slot/nickel/dime CBs. There is depth at the position now, but no certain starter besides Grimes, so a CB, like Trae Waynes may be the target in round 1. Starting saftey is another position of need, but this is not a deep S class, and no 1st round worthy candidates, but there is a need to get someone next to Reshad Jones. Will the Dolphins pursue a FA after the draft, or will they address it in the draft, only time will tell. Linebacker is another need for the Dolphins, but maybe not as big as some believe. Jelani Jenkins was forced into action last year because of an injury to departed Dannell Ellerbe, and Jenkins turned out to be the best LB on the team last year. To many people the other 2 spots need to be filled, but those player may be on the roster. Misi was nicked up most of the year, and was sub par, but it was his first year at MLB, so a healthy Misi, in his second year at the position, may be a solid MLB. He has the tools, and the smarts to be solid, if not spectacular in the middle. Then there is Chris McCain, a draft pick from last year who really flashed some great potential last year at times in a limited role, if he takes the next step, he'll be the other OLB opposite Jenkins. Now we come to what I believe to be the priority of the Dolphins, offensive line, particularly, guard. 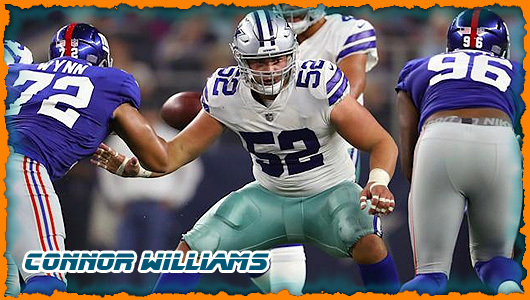 Last year was a disaster at G. There are hopes that second year man Billy Turner, will step up and take a starting role, and ever dwindling hopes that Dallas Thomas may develop, but they, Thomas in particular, cannot be counted on. 2nd round would be the consensus target round for a starting G, there will be some very good G prospects in the 2nd, including my favorite prospect in this entire draft, Alexander (Ali) Marpet. He, along with a couple other prospects, are very good prospects because they are scheme diverse, strong enough for a man scheme, and athletic enough for the zone scheme that the Dolphins run. It would be ideal to get a strong presence in the interior, that is also athletic and smart enough to handle the responsibilities of the zone, and in my opinion, there is no one better than Marpet when it comes to all those things. Depth is also a concern on the line, a good LT prospect would be a good idea, Brandon Albert is coming off ACL surgery, it's uncertain right now whether he will be ready for the start of the season, and, well, lets face it, he is injury prone, and a replacement should be sought after. No need to spend a top pick this year, as Albert is under contract for a few more years, but a mid round prospect should be a priority. As it is with every draft, many people have different ideas on what we should be doing, but this draft for the Dolphins is very wide open, and because of that, it's a very interesting draft, and I'm sure it will generate much debate, during and after the draft, so whether your the type to wait until after the draft to see what happened, or the other type, thats sits and watches the entire draft, it should be a very interesting draft for the Miami Dolphins. Here's to hoping we get some real superstars out of this draft! Should the Dolphins consider RB Todd Gurley at #14? Should the Dolphins pull the trigger on WR DeVante Parker?